Arkansas Power Dry is your best choice for environmental services in Little Rock. Call us regarding fire and water damage restoration. We also offer mold inspection and remediation, asbestos testing and removal, and so much more. We're a licensed and insured business with 33 years of experience among our team. We put quality workmanship first. Seniors and veterans save 10%! Please mention this coupon when you call. Are you seeking mold remediation after noticing black mold growth in your home or business? Do you need asbestos testing to confirm the presence of this hazardous material in your building? Has a flood left you in need of professional water damage restoration? For these and other environmental services, you can count on the pros at Arkansas Power Dry. We’re Little Rock’s source for everything from radon testing to biohazard cleanup, and we put quality workmanship first. We also offer some of the fastest turnarounds in town, striving to meet your needs promptly and properly no matter how difficult your job. Call or e-mail us today to learn more about what we can do for you, and to get a free cost estimate! Our service area includes homes and businesses throughout Little Rock and the surrounding region. Call us for assistance if you’re based in North Little Rock, Sherwood, Jacksonville, Searcy, Conway, Cabot, Bradford, Benton, Redfield, Maumelle, or anywhere else in the local area. We promise to respond quickly and to get someone out to your property as soon as we can, especially if you’re dealing with an emergency scenario. Arkansas Power Dry is licensed and insured for mold remediation, asbestos removal, radon mitigation, and so much more. 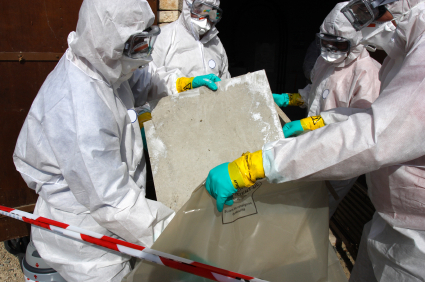 We’re qualified to handle biohazard cleanup, including crime scene cleaning and meth lab cleanup. And when disaster strikes, we’re the team you’ll want to help you deal with water or fire damage, salvaging whatever can be saved and demolishing and removing what can’t. Your safety, your health, and your property’s security all matter to us. We treat our customers like an extension of our family. We’ve been in business since 1987, and our team has 33 years of experience performing the various services we offer. We’re proud to be affiliated with the Better Business Bureau and the Little Rock Chamber of Commerce. Whether you contact us regarding fire restoration services or mold testing, we have the knowledge, skill, and expertise to get the job done right. We even stand behind our workmanship with a variety of warranties, which we’ll be happy to discuss with you when you call to schedule your appointment. Dealing with mold growth, fire damage, and other issues at your home or business can be frustrating and overwhelming. With Arkansas Power Dry on your side, you can take a deep breath and trust that you’re getting some of Little Rock’s best service. So what are you waiting for? Call now, and look forward to having the weight lifted from your shoulders.